The dust has settled, after an exhilarating Open Championship, just in time for the world’s best to tee it up at this week’s WGC Bridgestone Invitational. This is the last time the event will tee it up in Akron, Ohio, with the tournament moving home and changing name in 2019. Next year, this event will be held in Memphis, Tennessee and will be known as the WGC – FedEx St.Jude Invitational. This will be played at TPC Southwind, replacing the current regular PGA Tour event – the FedEx St.Jude Classic. Over the years, some of the very best have etched their name in history at this course, but none more so than 8-time winner, Tiger Woods. Woods has loved playing Firestone CC, and has won more times here than most win over their whole career combined, such was his dominance. Now coming off a good performance at the Open Championship, where he went into the final day with every chance of winning, Woods will be keen to add a ninth title here, before the event changes venues. Coming off a win at the RBC Canadian Open, 2016 Bridgestone Champion, Dustin Johnson is the clear favourite this week at +700 according to MyTopSportsBooks. This is plenty short enough, given the strength of field, despite his strong credentials. Either side of his win here, are finishes of 53rd and 17th, so on a course that requires accuracy as well as distance, it may pay to look elsewhere. Justin Rose (+1200), who has finished inside the top-5 five times at Firestone in his career, is on a run of five straight top-10 finishes, which he will look to turn into a victory this week. He now has top-10 finishes in 18 of his last 23 starts overall and can also boast reasonable accuracy (60th in Driving Accuracy) as well as power off the tee. Ever-popular Rickie Fowler (+2000) will look to bounce back from disappointment at the Open Championship, on a course where he has finished inside the top-10 in his last four straight starts here, and five times overall in nine starts. Fowler (65th in Driving Accuracy) is also a fairly straight driver of the ball, whilst still possessing the necessary power to contend here. This course is a monster. Par 70’s are usually short tracks, but at 7,400 yards, this course plays very long. With just two Par 5’s on the scorecard, one of which is 667 yards, making it far from a routine birdie hole, scoring will have to be made elsewhere. A strong performance on the Par 4’s will be key this week, with seven of them over 460 yards. With this in mind, it is clear why the last ten winners of this event have ranked 10th or better in Par 4 Performance they week they won this event. In fact apart from Vijay Singh in 2008 (10th), all have ranked 4th or better in that category, showing how essential a good effort on the Par 4’s will be this week. All of the last ten winners have ranked inside the top-11 in Greens in Regulation, with sharp iron play required to hit these relatively small Bentgrass greens. Of the last ten winners, only Keegan Bradley (21st) has emerged victorious after ranking outside the top-4 in SG: Tee-to-Green. It is unlikely that you will have to look to far down the market, with the majority of the winners here well fancied before the off. Last year’s winner, Hideki Matsuyama was one of the favourites last year, after posting four top-10’s in his last six starts and winning four times worldwide, since the start of October 2016. 2016 saw Dustin Johnson win, two weeks after winning the U.S. Open, and these two wins were his 7th and 8th top-5 finishes of the season (14 starts). A further win and two more top-3’s followed, showing just how well he was playing the year he won here. Shane Lowry was a little less obvious in 2015, but top-9 finishes at Torrey Pines, Wentworth and the U.S. Open in the leadup suggested he was playing well enough to contend. Generally speaking, you have to have shown plenty of good stuff throughout the season before winning here, so it is not likely that a shock will materialise this week. What is there really to say that hasn’t already been said about Justin Rose? He is in the best form of his career and his 18 top-10’s in the last 23 starts has seen him rise to a career-best, 2nd in the World Rankings, and he will now have DJ and the No.1 spot firmly in his sights. Rose has finished in the top-5 with regularity here, and whilst his last two starts at the course (63rd and 46th) will raise eyebrows, his current form suggests he has every chance of getting his maiden victory in this event. 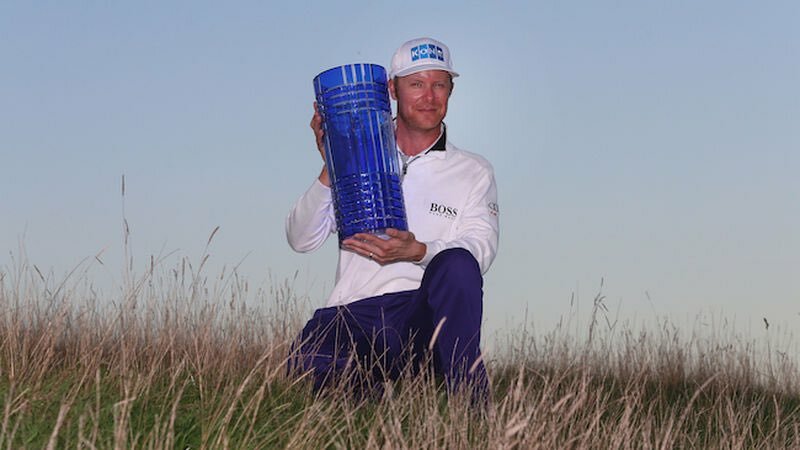 A major winner and a two-time WGC champion, no event is too big for the Englishman and the grit and determination showed to finish T2 at the Open two weeks ago, after staring a missed cut in the face on Friday, says everything you need to know about Rose. Similarities between Firestone and Torrey Pines have already been noted, where Rose has finished in the top-8 on each of his last two starts. Another course that correlates nicely is Muirfield Village, where Rose won The Memorial in 2010, just another bonus for his chances this week. Rose ranks 1st in Par 4 Scoring Average and 12th in SG: Tee-to-Green highlighting just how perfect his game aligns with the test Firestone presents. At 14/1 he is double the price of Johnson, which I think is fairly surprising. Any time he tees it up both fans and the man himself share a certain level of expectancy to not only contend, but win and that shows the level of ability and confidence Rose possesses. After a couple of recent cuts, it may well be a bit easier to forget that Jon Rahm has won three times since November. Missed cuts at both the U.S. Open and the Open Championship are of course disappointing but top-5 finishes in France and Ireland between these two efforts are confirmation he can find form on any given week. When T4 in Ireland, Rahm opened with a 74 on the Thursday, but bounced back to miss out on victory by just two strokes, as he looked to defend his title. It was a similar story in France the week before, where he again lost out by just two strokes, with his worst score of the week (72) coming on the Sunday. Rahm was indeed poor at the U.S. Open, but he opened solidly enough with a 69 at the Open Championship, but a 78 on the Friday cost him, which was the story of his WGC Bridgestone Invitational debut also. Last year Rahm opened with a round of 67 on Thursday, and also shot 67-68 over the weekend, but a Friday 77 cost him any chance of a run at the title. Instead he had to settle for 28th, as he gave himself far too much to do over the weekend. Still young, and susceptible to a volatile round, there is always a question mark if he can hold it together over four rounds, especially on a demanding course such as this one, but with a win at Torrey Pines to his name, he has show he is capable of doing so. The similarities between the South Course at Torrey Pines and the South Course here at Firestone are plain to see, and his win at the former should hold him in good stead this week. Rahm currently ranks 3rd in Par 4 Scoring Average, 15th in Greens in Regulation and 21st in SG: Tee-to-Green on the PGA Tour this season, so his game is in perfect shape for this test. At 28/1, I am more than willing to take a chance on an elite talent, who will hope to post multiple wins on the PGA Tour this season, as he continues to look for further progression in his game. As it stands, he is a best price of 25/1 for the US PGA Championship, so at 28s he has to be considered value in a smaller field. A classic example of current and course form, Kevin Chappell will no doubt be a popular pick this week, after finishing 6th at the Open Championship two weeks ago. Chappell opted to take the week off after Carnoustie and rest up, as he pegs it up at a course where he has finished 3rd and 13th in two starts. In 2016, Chappell finished 3rd on debut, shooting progressive rounds of 71-70-69-67. After a slow start in 2017, opening with a round of 73, Chappell bounced back with rounds of 67-68-69, to make it five rounds in the 60’s out of a possible eight. Whilst this has been a fairly lacklustre season for Chappell, by his now loftier standards, he still ranks 31st in SG: Tee-to-Green, and as evidenced in the past, this course certainly plays to his strengths. Like Rose, Chappell has enjoyed success at Muirfield Village, finishing 2nd in 2013, and adding that to his course form here suggests he’s more than capable of winning for just the second time on the PGA Tour, making a huge step up in class in the process. Chappell will be hoping that his strong showing at Carnoustie will be the springboard to another successful year, as we head to the business end of the season. His T6 finish at the Open halted a very poor run of form, which saw him miss six cuts in ten starts since his last top-10 (T7 at Bay Hill), but we are all very aware that he has the game to turn it all around, and hit a purple patch of form. His price is quite clearly a reflection of his season as a whole, as opposed to his current chances, and hopefully he can ride the hot hand this week. This week Olesen looks like one of the more overpriced players in the field, and hopefully he can better last year’s result ever so slightly, in order to ensure a decent payday. Olesen has played twice at Firestone, struggling to a 48th place finish when coming in out of sorts on debut in 2013, before reversing fortunes with a 10th place finish in 2017. After a slow start last year, shooting 73-70 on Thursday and Friday, it looked as though this may not be the course, for the man they call “Thunder Bear”, but rounds of 67-65 over the weekend saw him climb the leadeboard and post a more than respectable finish, in a tough field. Whilst he had two top-4 finishes in his recent memory before playing here in 2017, his three starts leading into this event resulted in finishes of 48th, 62nd and 37th, so he was hardly firing on all cylinders heading into Akron. This year though, it is a different story, and since Olesen won his fifth European Tour title at the Italian Open back at the start of June, he has finished 2nd in Germany, 6th at the Irish Open and 12th in the Open Championship, so his game certainly looks in fine fettle ahead of his third start here. Whilst never the most consistent or reliable in the past, one thing Olesen has always been is a winner and he now needs to take his game to the next level, with this the perfect platform for him to do so. Olesen has top-9 finishes at Augusta (T6 on debut in 2013), the WGC HSBC Champions (T6 2014) and the Open Championship (T9 in 2012), which was just his second major start, so it clear he is capable of competing on the biggest stage, even if he is yet to win at such a level. His price is just all wrong for me, given his current form and I am happy to take a swing on a player, who is slowly finding a touch of consistency, that he to this point his lacked in his career. Brandt Snedeker gave us a decent run last week, but was no match for Johnson, who run away with the victory, in typically dominant fashion. We go again this week, and I think there is lots of value around, as everyone else in the field looks to take down the best player in the world.